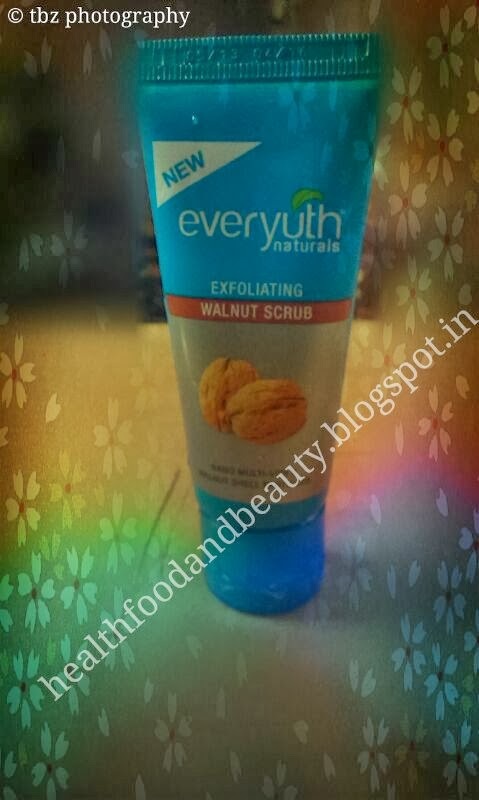 Company’s claim: New Everyuth Naturals exfoliating walnut scrub has natural Walnut Shell particles and Nano Multi-Vita. Natural Walnut Shell particles exfoliate dead skin cells and skin impurities which may block pores and may cause blackheads and whiteheads. Nano Multi-Vita helps in nourishing and revitalising the skin, leaving your skin clean, clear and beautiful. Direction to use: Wet your face. Apply scrub and gently massage your skin with brisk circular movements for about 2 minutes, concentrating on areas such as nose and chin for blackheads removal. Avoid any contact with eye area. Rinse and pat dry. For best results, use scrub at-least twice a week. Looks and Packaging: Everyuth walnut scrub comes in a blue coloured squeeze tube with flip up cap. Packaging is decent and leak proof. 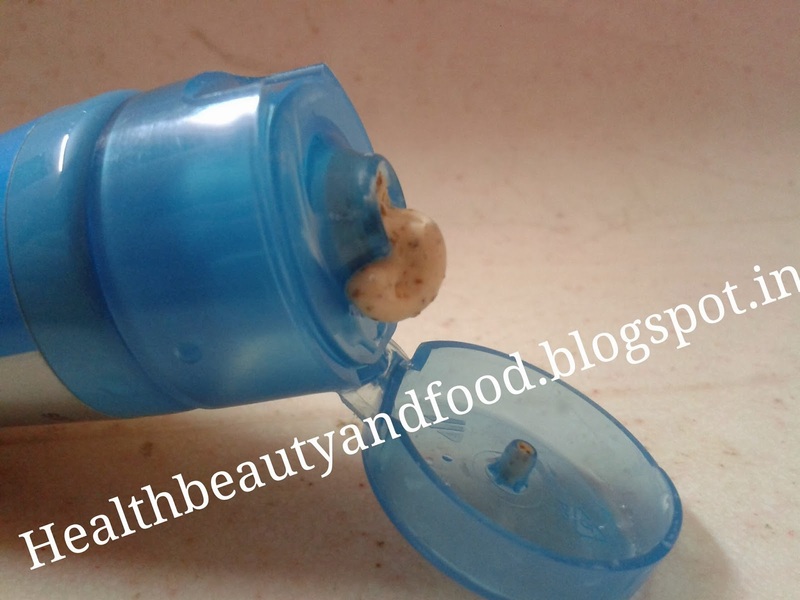 Inside the tube is the peach coloured creamy scrub with too many walnut granules of brown colour. Experience: The scrub having creamy texture glides easily on wet face and the walnut granules does its scrubbing action while I move my massage my face in circular movements, same as directed by the company. I scrubbed my face for 2 minutes as directed and rinsed my face with water. Result: After scrubbing, I found my face clean and skin soft. Blackheads were still present but in lesser quantity. Removes blackheads to some extent. Does not remove blackheads completely. You can’t say good-bye to blackheads extractors. It is a decent product at decent price which does what it claims. I have used this product and found it good and also give good results.